TOP seed Carlista Mohammed eased past the quarterfinal stage of the women's singles category when matches in the Shell Tranquillity Open 2019 Tennis Tournament continued at the club's courts at Victoria Avenue in Port of Spain, yesterday. Mohammed booked a place in the semifinals with a 6-1, 6-0 win over Kimberly Sabga and she was joined by Abigail Jones in the semifinals as Jones defeated Farrah Chautilal 6-3, 6-4. Matches were also contested in the veterans singles round of 16 with Mccollin Fontenelle, Brian Jackson, Karl Woods, Ricky Villaroel and Dion Auguste all advancing. Fontenelle got past Athelstan Phillips 6-1, 6-0, Jackson was a 6-2, 6-2 winner over Winston John and Woods earned a walkover win over Frank Ramudit. 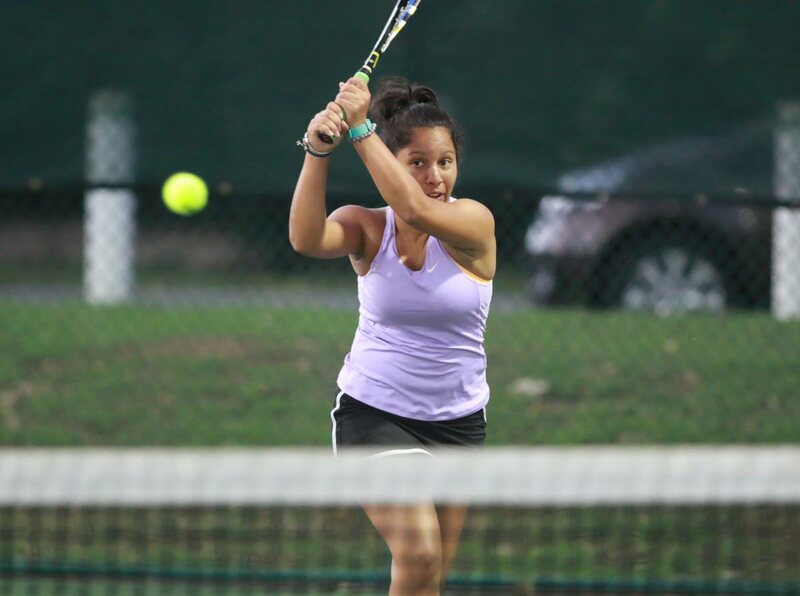 Villaroel and Auguste both earned straight set victories. Villaroel got past Hayden Salim 6-3, 6-2 and Auguste defeated Jerome Burrows 6-1, 6-0. In round one of the women's veterans singles Jacqueline Straessle-Chin Lee was a 6-2, 6-0 winner over Catherine Campbell-Frost. Reply to "Mohammed advances at Shell Tranquillity Tennis Tournament"